EXIF data, filenames, and more. 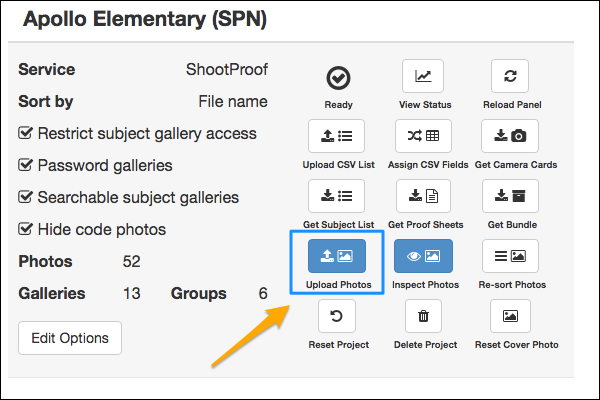 Begin by clicking the "Upload Images" button for your target Project. Uploading to Snapizzi is an additive process. This means that you won't overwrite any images if you are uploading in batches. 2. 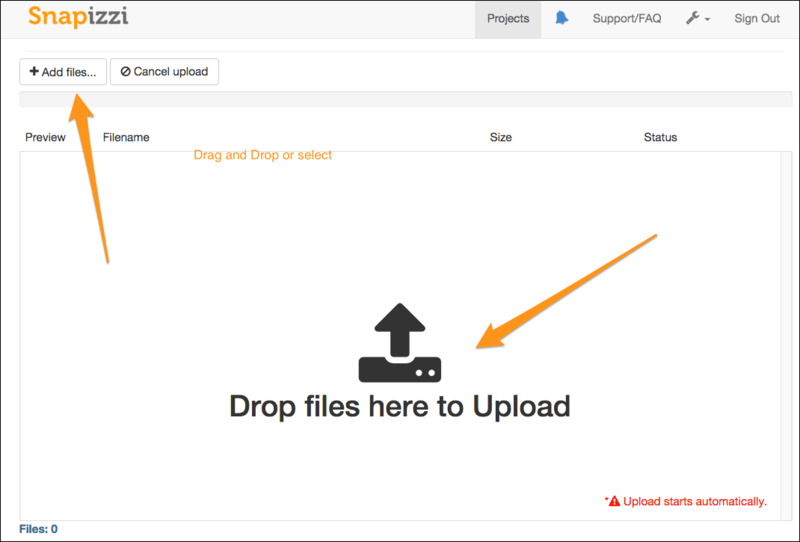 Navigate to your Project images and uploading will begin automatically. Maximum file size is 32mb. That's it! You'll be notified via email and the Message Center once your Project is sorted. You can also add photos to galleries using the DropZone in each gallery.